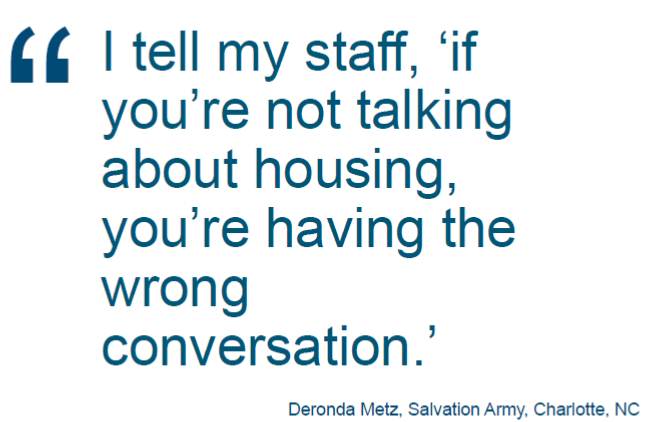 The main message of Housing First approach is to shift conversation in the housing community from “What can we do to help you?” to “What can we do to get you housed?” This is based on the belief that all other social services can be implemented afterwards and more effectively once the individual or family is in housing. The Housing First philosophy is that everyone is always ready to be housed, regardless of their behavior or additional complications. Housing First encourages shelters and service centers to treat homelessness as first and foremost a housing problem rather than an issue of mental illness, poverty, joblessness, or disability. Therefore, everyone is always ready to be housed and clients should be connected to permanent housing resources first, and all other services should be voluntary and used to sustain housing. Homelessness is primarily a housing issue & should be treated as such. Homelessness is not a substance abuse, employment, mental health, or motivational issue, but a housing issue. The Housing First approach acknowledges that in order to improve on these other aspects, one needs housing first. What does a Housing First program look like? Shelter diversion is a strategy that prevents homelessness at the front door by helping them identify immediate alternate housing arrangements and, if necessary, connecting them with services and financial assistance to help them return to permanent housing. Diversion programs can reduce the number of families becoming homeless, the demand for shelter beds, and the size of program wait lists. Connecticut Rapid Rehousing Program (RRP) is a statewide initiative that is a combination of housing relocation, stabilization services and financial assistance, if necessary, to help homeless households (individuals and families) quickly transition into permanent housing and achieve housing stability. These practices work to organize the front lines of the fight against homelessness and reorganize, re-prioritize, and re-connect to strengthen efforts across the board. NAEH: What is Housing First? Housing First is an approach that centers on providing homeless people with housing quickly and then providing services as needed. What differentiates a Housing First approach from other strategies is that there is an immediate and primary focus on helping individuals and families quickly access and sustain permanent housing. 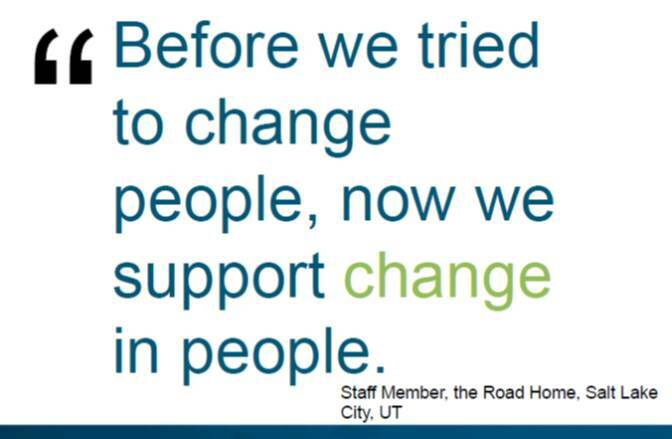 This approach has the benefit of being consistent with what most people experiencing homelessness want and seek help to achieve. Questions on the Housing First policy and method? Check out this fact sheet answering some questions and concerns related to what Housing First is, how it fits in to ending homelessness, and how it works! This tool is intended for use by policymakers, government officials, and practitioners alike to help make a basic assessment of whether and to what degree a particular housing program is employing a Housing First approach. Answers to questions frequently asked about housing first for families and individuals. This toolkit outlines the key strategies of a Housing First approach – it can help organizations that are planning to use HPRP resources to shift their organization’s approach toward a Housing First model. This tool is designed to help communities identify potential partners and accountable agencies within their Housing First system based on the three main outcomes of a Housing First system: prevention of homelessness, reduction in the length of time of homelessness, and decreased recidivism. This webinar, from the National Alliance to End Homelessness, highlights the efforts of Alameda County, CA to adopt a Housing First approach across its entire homelessness assistance system. This case study highlighted key strategies and lessons.